This modern Artistic Weavers Cartagena area rug will instantly improve any room you place it in. Designed to decorate an indoor space, this plush wool material rug is high quality. This hand-made rug is durable and modern. This contemporary off-white rug has a lovely geometric pattern for an impressive look. Include this Artistic Weavers Alhambra area rug in your hallway, dining room, or living room decor for a taste of modern style. Add this indoor rug to your home for a comfy, yet stylish design option since it is made from plush wool material. Bring this hand-made rug into your home for a durable interior design option. Keep things classy, yet high-quality with this animal print patterned brown rug. This Artistic Weavers Anaheim area rug infuses contemporary style into any room in your home. Keep it classy, quality, and stylish with this indoor rug made from plush wool material. Bring this hand-made rug into your home for a durable interior design option. 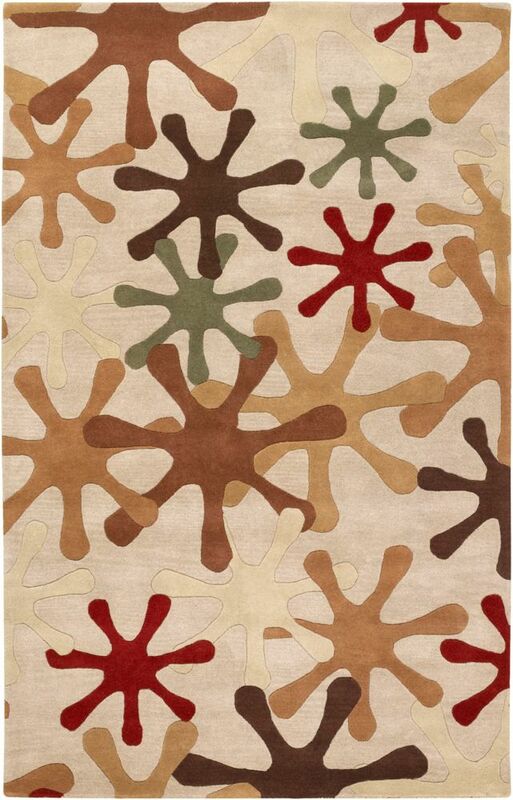 The floral plants pattern on this beige tan rug is very modern and stylish. This Artistic Weavers Anaheim area rug is a great high-quality option for livening up your home. Constructed to be an indoor piece, this plush wool material rug is sure to make a statement in your home. Bring this hand-made rug into your home for a durable interior design option. Maintain your modern home aesthetic with this floral plants patterned off-white rug. Cartagena Off-White 5 ft. x 8 ft. Indoor Transitional Rectangular Area Rug This modern Artistic Weavers Cartagena area rug will instantly improve any room you place it in. Designed to decorate an indoor space, this plush wool material rug is high quality. This hand-made rug is durable and modern. This contemporary off-white rug has a lovely geometric pattern for an impressive look.